Find out all you need to know about handling supplementary feeds such as silage and fodder beets. Silage has long been the flagship supplementary feed on Australian and New Zealand dairy farms, with a higher energy value per hectare than hay and a lower cost to grow than many other crops. It’s also easy to grow, easy to harvest, but also easy to lose all of these benefits if your storage and handling system is not up to spec! Why worry about silage handling and storage? When grass is ensiled the sugars are convert into lactic acid which pickles the grass. This ensures the silage can be preserved for extended lengths of time for feeding out in times of feed deficit without losses in feed quality. A well-preserved grass silage at time of feed out can be of similar quality to what it was in pasture at the time of harvest! This helps to point out the importance of proper storage and handling methods. "Well preserved silage at time of feeding out can be of similar quality to when it was in pasture at harvest"
Maintaining quality and preventing losses in grass silage all comes back to your ability to isolate it from air from the time of harvest to feeding out. Each time silage is exposed to air the silage heats up as microorganisms use the sugars and protein you preserved through the ensilation process to begin aerobic spoilage, this turns silage into heat energy and results in lost feed value and quality. Causes reproductive & health issues. Including spoiled silage in the feed ration at rates as little as 5% can have serious effects on your stock as described above. Cover the stack face tightly each day, the only exception to this is on the occaisional dry day when you may leave it open to prevent heat building up. 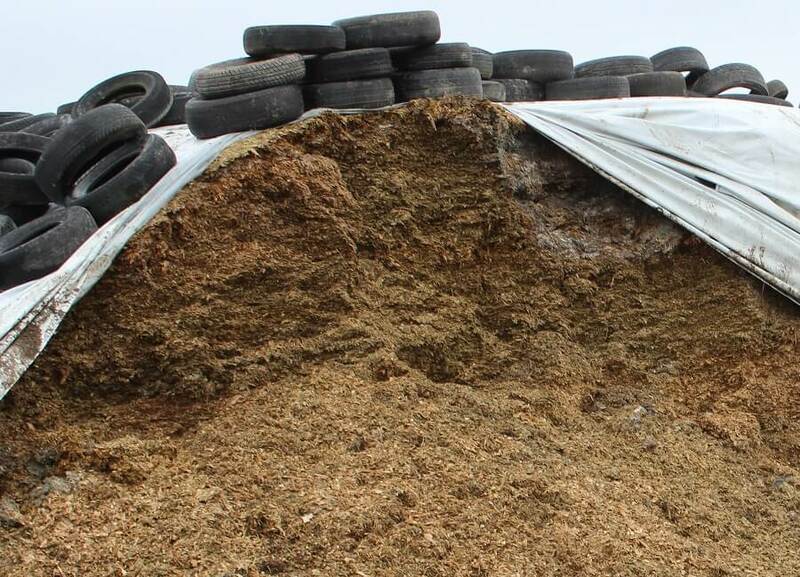 Feed every bit of silage taken off the stack, avoid having loose material around the bottom of the stack, this will spoil and in turn become unusable, even it its fed out it can cause serious production & health issues in both dairy & beef stock. Cut and feed at least 50cm of the stack face every day, so silage is not exposed to air for more than 24hrs, one strategy here is to calculate your anticipated feed rate at the time of making the stack and build it to the width & height that allows you to feed out 50cm deep of the face and across within 3 days. Start feeding out from the top of the stack, working downwards and across to feed evenly. Leave the stack face as clean & sealed as possible, sealed stack face results in lower stack face porosity. 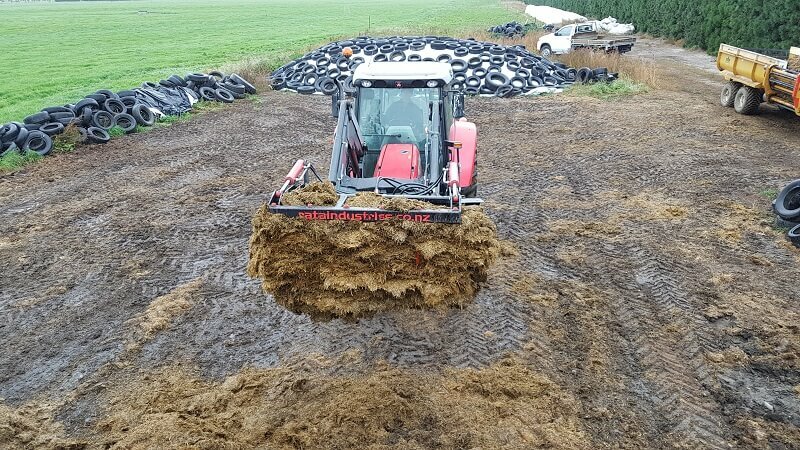 Using the right silage handling attachement helps to keep the stack face clean and sealed which prevents silage spoilage. Principles for preventing dry matter losses and spoilage in wrapped silage bales (bailage) are largely the same as for stack silage, isolate from air! Once the silage bales are wrapped ensure they are stored in a secure area free from potential damage. Store on the flat end of the bale and do not stack more than 3 high to prevent bales squashing under their weight and rupturing the wrap. Use a purpose built wrapped bale handler, do not fork or spike wrapped bales until time of feed out. Fodder Beet has boomed in popularity as a supplementary feed among dairy farms in New Zealand, particularly in the South Island and some parts of the Central North Island such as the Waikato and Taranaki, some Australian dairy farmers in Victoria & Tasmania are beginning to include this into their supplementary feed system as well. It’s very high yielding with extremely high amounts of energy which is a big plus in the colder southern climates, it’s fertilization requirements are also very low which further add to its benefits as a low cost crop to grow. However, fodder beet doesn’t come without its pitfalls. 1. Feeding out via a wagon or mixer, means you can feed the exact amount of fodder beet required for your herd size throughout the transition and once transition is complete. Even when fully transitioned fodder beet should never be more than 70% of the cows total diet, feeding via feed wagons also means you can feed the remaining 30% portion of long fibre or starch at the same time as the fodder beet allocation. Feeding through a wagon or mixer also means you can avoid soil compaction issues associated with the other option of break feeding. 2. Break feeding, remains another fodder beet feeding method, although successful there are several risks to take consideration of when using the break feed method. Electric fences must work at all times and where possible run second live fence close to the feed out fence in case of break out, if stock break through the fence and gorge on the crop it can cause serious acidosis issues as lactic acid production in the cows rumen takes place, the result can be death. It is also important that stock consume both the roots & tops of beet leaves. If you choose to go down the break feed path make sure you consider the high soil compaction rates that occur (as with all break feeding). If you have made the wise decision to feed via your wagon or mixer for greater control and security over the feed ration you will obviously need to harvest the fodder crop, options for this include mechanical harvesters or fodder beet buckets. 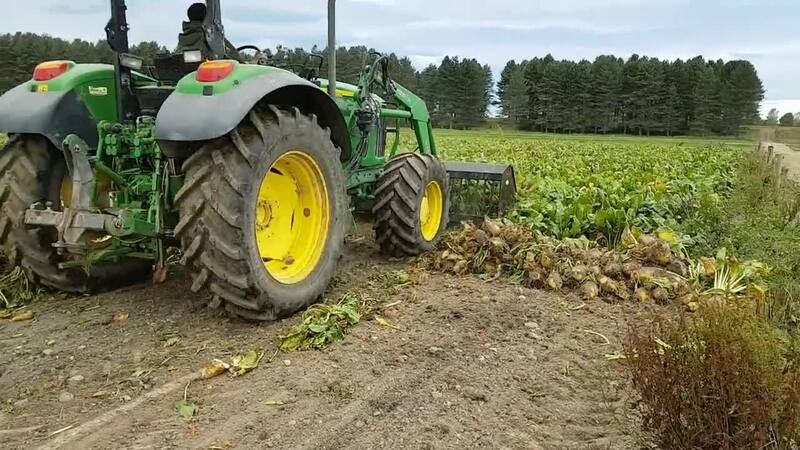 When harvesting fodder beet consider whether you anticipate storing the crop for any length of time before feeding out, if so, it is advised you remove the tops at the time of harvest. This is due to the tendency for tops to decompose within a short time and adversely affect the sugar beet bulbs. As fodder beet tops can comprise about 20% of your beet dry matter it is advised you leave them in the ground and harvest when required. Some independent dairy research organization also recommend feeding both the tops & the roots. 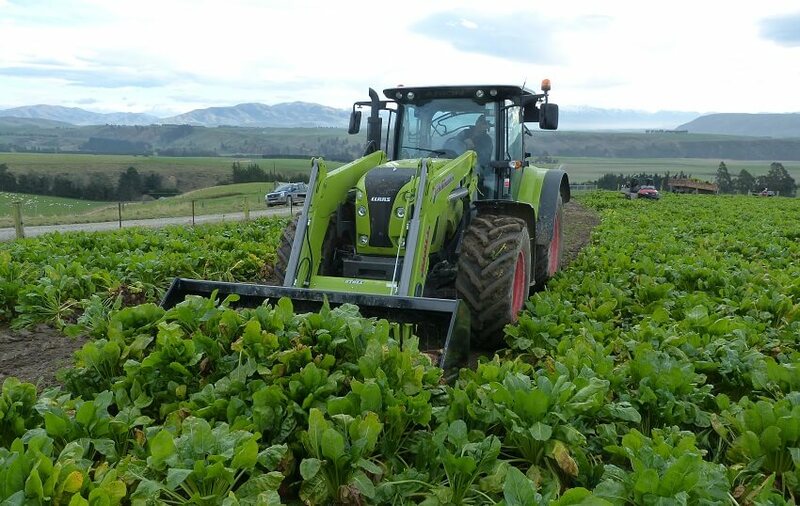 A very popular option for harvesting fodder beets in New Zealand has been the ‘Beet Bucket’ this purpose-built fodder crop harvesting bucket enables farmers to lift beets out of the ground for feed out when required, this method allows farmers to keep their beets in the ground until required meaning they get to utilize the beet tops as well as the bulbs! This ensures 100% of the beet dry matter is utlised along with the flexibility and ration control enabled by feeding out through a wagon or mixer. Hay Bales are much easier to handle and store than the likes of silage, simple Bale Forks and will handle hay bales with ease as spiking poses no issue to the bale, however much like any forage crop hay is still prone to dry matter losses and quality deterioration when it comes to storage. The main thing you can do to protect hay bales against deterioration is to protect them from the elements, storing your hay under a shelter is advised to prevent contact with water, if a hay shed is not available alternatives such as wrapping or covering with a tarp are advised. If bales are not protected against moisture & the elements water mold growth and spoilage will occur in your bales over time, take the followin steps to ensure your bales are protected. Protect hay bales from the weather and water by wrapping or storing under a tarp or hay shed, also ensure they will be safe from water run off if stored out doors. Ensure there is sufficient airflow around your bales to prevent moisture becoming trapped and causing mold growth. Palm Kernel provides many farmers with another cost-effective supplementary feed due to it being a waste by product in the manufacture of Palm Oil. Palm Kernel provides high levels of protein, oil, minerals such as manganese, zinc and copper along with being extremely versatile when it comes to feeding out. 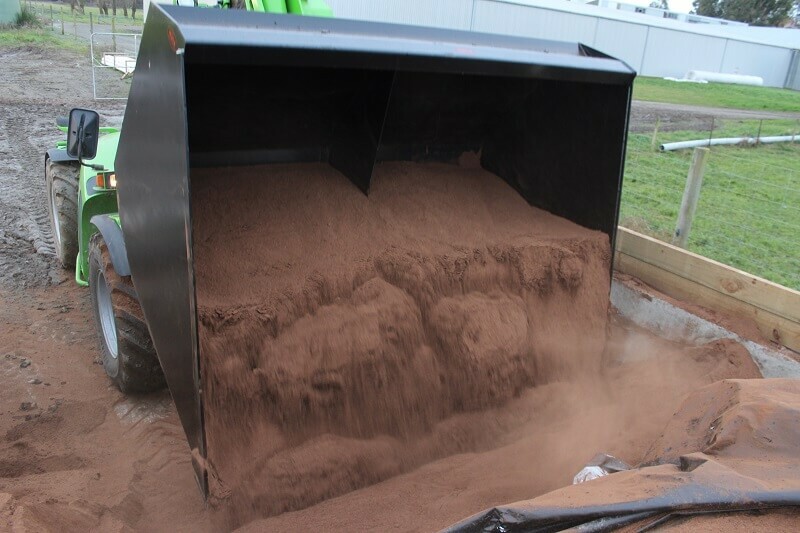 Palm Kernel does not require specialist handling or mixing equipment and can be feed out directly through trailers and troughs, however if you decide to use it along with other supplementary feed you can feed it alongside silage, hay and other products. When incorporating Palm Kernel into your supplementary feed programme ensure you store Palm Kernel in a dry location free from water and dampness, this is because of two reasons. Firstly Palm Kernel has a tendency to become significantly heavier when damp, secondly like any many supplementary feeds the presence of moisture can cause mold and toxin growth which in turn adversely affects cow health and production.